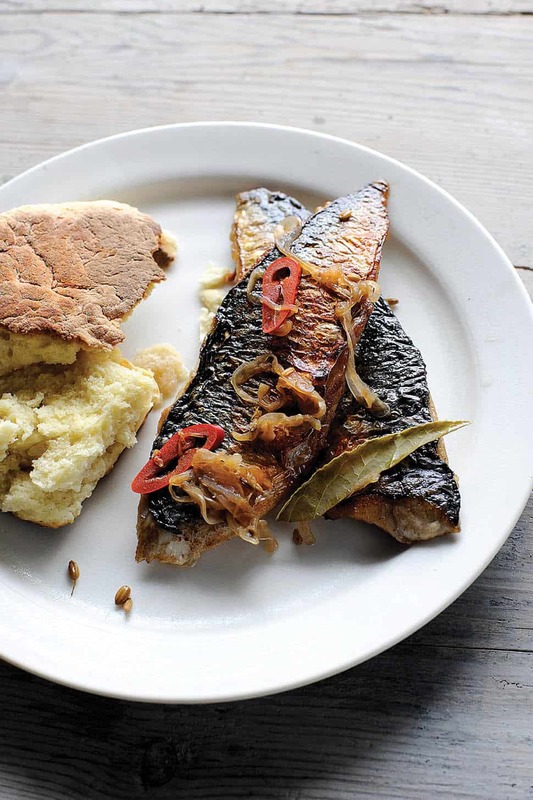 Combine all the ingredients, except the mackerel, in a pan and bring to the boil. Remove from the heat and leave to infuse for at least an hour – creating a pickle. Salt the mackerel fillets on the flesh side and leave for 10 minutes. Pour the pickle into a tray. Wash the salt off the mackerel. Place flesh-side down in the pickle. Leave for 20 minutes. Pat the skin dry and fry in vegetable oil skin side down, adding a little butter as the flesh starts to become opaque. Warm some of the pickled shallots and some of the pickling liquor and spoon over the fillets. Mix the dry ingredients together and add the yogurt to form a dough. Remove from the bowl and place on a lightly-floured work surface. Knead the dough for 5 minutes. Lightly oil a large skillet or frying pan and place on a medium heat. Divide the dough into two pieces. Use a rolling pin to roll each piece until it is about 2cm thick. Use a sharp knife and score the dough into quarters, cut 1-1½cm deep. Place the dough in the pan, score side down, and cook for 8 minutes. Turn over and cook for a further 8 minutes. 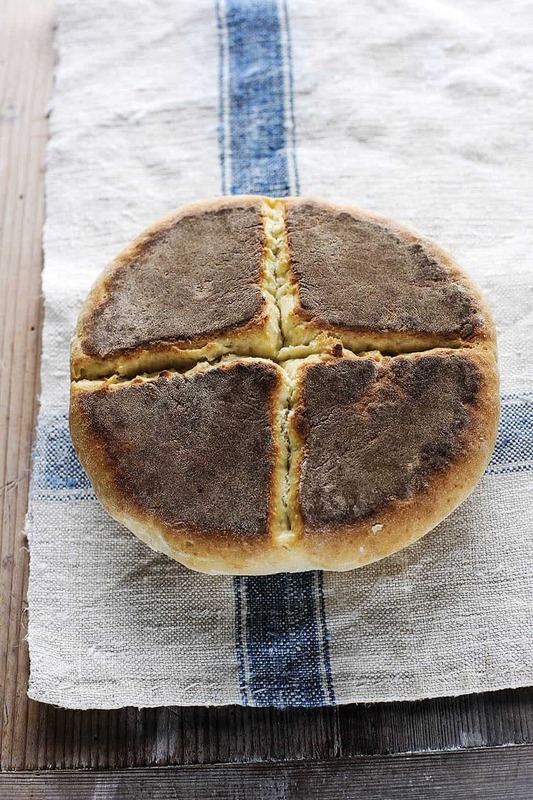 The bread is cooked when the sides spring back after being pressed. To finish, warm the soda bread and serve with the mackerel.